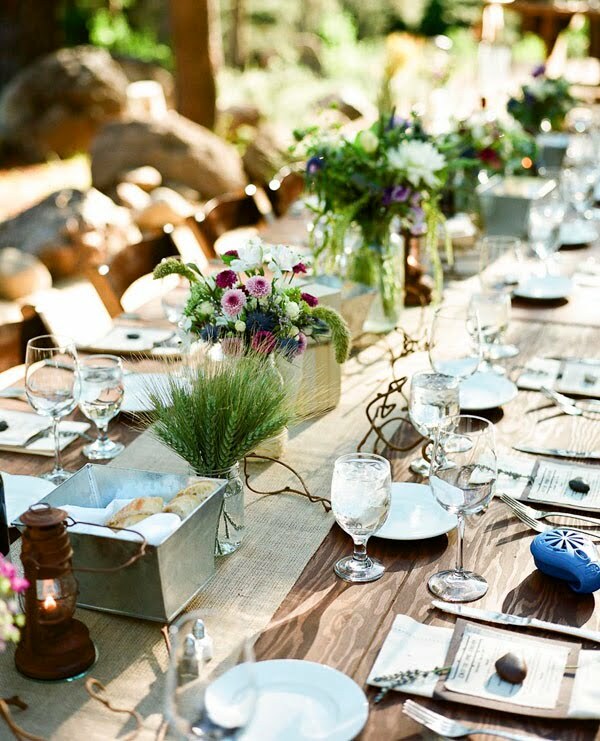 This Tahoe river wedding is the prettiest I've seen on blogs in awhile. It's very rustic & elegant, and my favorite detail is the French glass door with guests' names written on it. 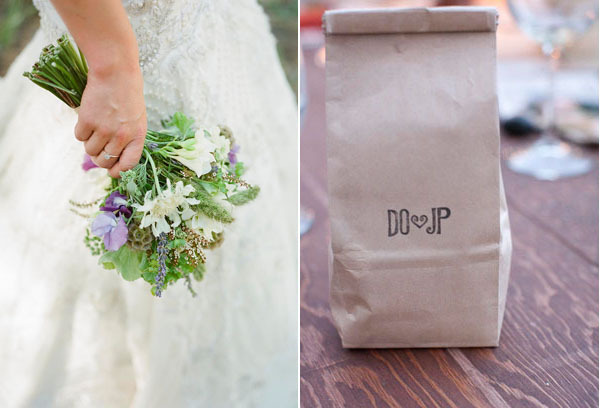 They did a beautiful job balancing current trends with details that are classic and timeless. I love the centerpieces! Thanks for sharing. Wow, lovely! I wanted to do the window thing for our guests as well, but the budget didn't allow : ) This is fantastic! Beautiful, I love the seating chart!! Gorgeous. Seeing pics like these makes me want to do my wedding all over again :). 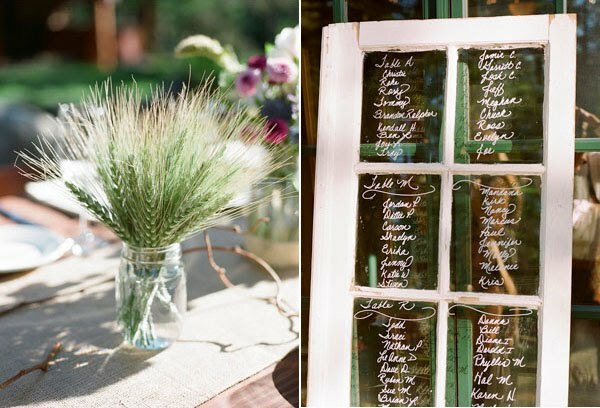 favorite detail of the season: glass window seating chart....stunning! looks like heaven! i totally want to steal all these ideas. Love the centerpieces and the window panes. Colleen: Oh no...Maybe you could still score one at a yard sale or something? Cassi: I LOVE your idea. Was trying to think of how to use it in a house - that sounds perfect. wow, so stunning! I love the centerpieces... looked like they were just picked from the fields and put in jars. perfect. this looks perfect alli. whoever had this wedding has extremely good taste. the door is exquisite and the table settings as well. the brown initialed bag is very nice too. The door is totally amazing!!! Love the idea of the rustic & elegance together. It's very beautiful. My favorite idea has to be the glass with the guest names on it. This makes me want to get married.